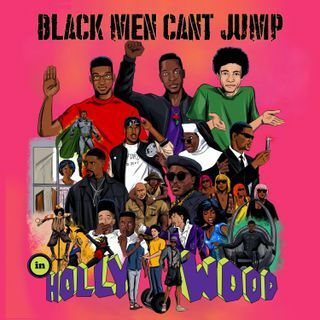 Black Men Can't Jump [In Hollywood] is a comedic podcast that reviews films with leading actors of color and analyzes them in the context of race and Hollywood's diversity issues. Hosted by Jonathan Braylock, Jerah Milligan, and James III. BMCJ is an iTunes Editor's Choice podcast and has reached #2 on the iTunes Film/TV charts. BMCJ has also been covered by multiple websites including Huffington Post, Splitsider, Salon, The Daily Dot, and more. Produced by the Forever Dog ... Más informaciones Podcast Network.